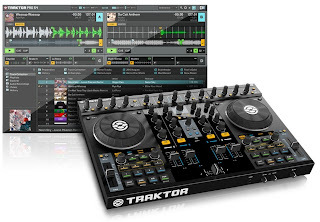 There are many DJ Mixing Softwares available today. Each software has their own typical features one usually finds way to mix playlists and tracks in a professional way. Here are the top listed DJ-ing Softwares of all time. Traktor DJ Studio now simply known as Traktor is one of the best DJ software presented by Native Instruments. Operating Systems & Requirements : Windows(latest service pack, 32-Bit), Windows Vista/Windows-7(32/64-Bit), Intel pentium 4 or Intel core duo or AMD Athlon. Supported Drivers : Direct sound, ASIO, Core audio, WASAPI. Supported Audio Formats : WAV, Audio CD, FLAC, MP3, Ogg Vorbis, Non-DRM WMA, Non-DRM AAC. Get this Amazing Software Here. 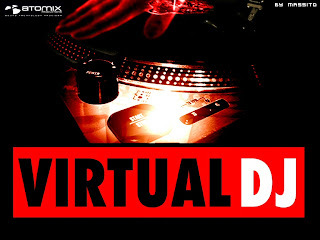 Virtual DJ shortly known as VDJ is one of the best evaluating DJ software. The minimum system requirements are mentioned below. PC System Requirements : Intel Pentium 4 or AMD Athlon, 1204x768 resolution, Directx compatible sound card, 512 MB RAM, 50MB of space on hard drive. MAC System Requirements : Intel Processor, Mac OS X v10.6.x, Coreaudio compatible sound card, 1024x768 resolution, 1024 MB RAM, 50MB free space on hard drive. Supported File Formats : WAV, MP3, WMA, AIFF(MAC only). Get Virtual DJ Software Here. Mixmeister is one of the best performing music production software functionally as well as usage. PC System Requirements : Windows XP or Vista, Intel Pentium or AMD Athlon, 1GB RAM, Second sound card ASIO-Compliant multi-channel sound card required for live monitoring. MAC System Requirements : MAC OS X 10.4-10.6, PowerPC or Intel Core Duo, Second sound card ASIO-Compliant multi-channel sound card required for live monitoring. Supported File Types : MP3, WAV, WMA, Playlists like MMP M3U. 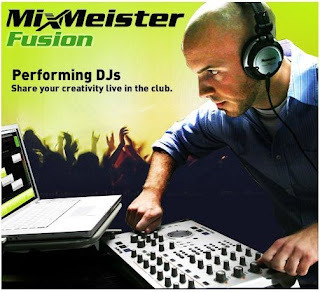 Get MixMeister Fusion All Available Versions Here.